New Delhi : Report from near San Francisco states that a woman opened fire with a 9 mm handgun at YouTube's headquarters on Tuesday, injuring three people before shooting herself dead as employees of the Silicon Valley Tech Company fled into the surrounding street. 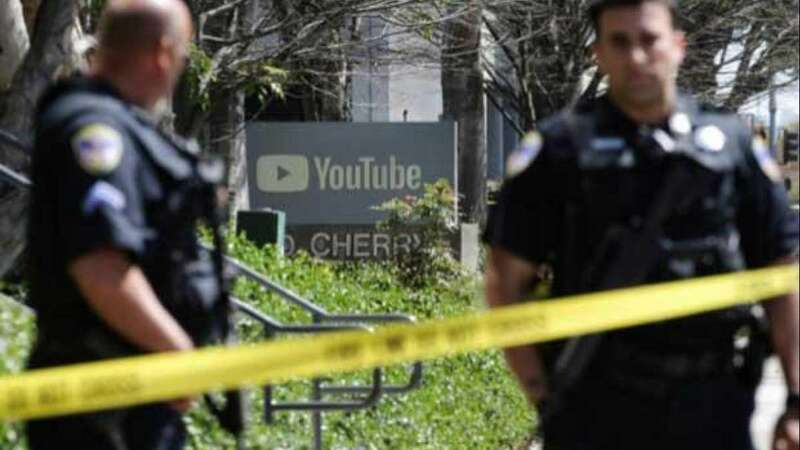 Police are yet to identify the suspect or the reason behind the shooting at YouTube, a video-sharing service owned by Alphabet Inc's Google which employs nearly 2,000 people at the San Bruno, California offices. The woman approached an outdoor patio and dining courtyard on the campus around lunchtime and suddenly began to fire before entering the building, police said. San Jose Mercury News, citing a law enforcement source, said that she was targeting her boyfriend due to a domestic dispute. A U.S. government security official told Reuters international news agency that there was no identified connection to terrorism. ABC News, citing unidentified law enforcement sources, said the suspect was 35 to 40 years old, and lived in Southern California, with no clear connection to YouTube. Google CEO Sundar Pichai thanked the police and those responders who have managed the situation. "There are no words to describe the tragedy that occurred today. Susan Wojcicki and I are focused on supporting our employees and the YouTube community through this difficult time together. Thank you to the police & first responders for their efforts, and to all for msgs of support," he tweeted. YouTube headquarters is located some 30 miles (50 kilometres) from the main Google campus in Mountain View.